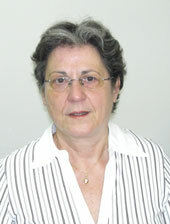 Eleni Mangou is chemist and Head of the Chemical and Physical Research Department of the National Archaeological Museum in Athens since 1979. She has a Bsc in Chemistry and a PhD from Patras University as well as an Msc in Archaeometallurgy and a Certificate in Archaeological Conservation from the Institute of Archaeology of London University. Her PhD subject is on the Copper and its alloys in prehistoric Greece by examination of ancient copper artifacts from Aegean area, Crete and Mainland Greece dated to 4.000-1.000 B.C. Her publications include 43 papers in refereed journals and conference proceedings as well as many contributions to archaeological monographs. She has worked as a researcher in the Chemical Technology of the Chemistry Department of Patras University for six years (1973-1979). She is member of the Greek Chemists’s Society, of the Greek Archaeometry Society and of the International Institute of Conservation of Works of Arts-Greek group. Her research interestings are on the technology of ancient objects as metals, glass, faience, ceramic, organic materials and colours, on the research of conservation of ancient objects as well as on authentication problems. She has published a joint book with the conservator Th. Margiolopoulos on ‘Leather:Technology-Degratation-Conservation-Analysis’. She has collaborated on the examination of the Antikythera Mechanism with radiographic X-rays techniques with Bromley and Wright in 1990 (Linear Tomography) and with the Group of the Antikythera Mechanism Research Project in 2005 (3D Microfocus X-Ray Tomography).